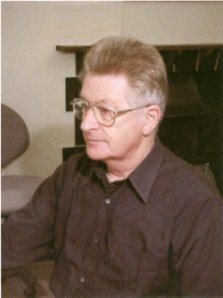 Douglas Cook has written and arranged music all his working life, firstly as a teacher and director of music in secondary schools in the south of England, and now in busy retirement in the Lake District. Singing has always been important too: he trained as a Quirister at Winchester College and currently directs a small chamber choir, Nova Cantica. He has a particular interest in medieval and Renaissance music. Music: 16th C. anon. arr. Douglas Cook. Words: Anon. (16th century). Music: Trad. arr. Douglas Cook. Words: Traditional English. Music: Trad. arr. Douglas Cook. Words: Trad. Anon. Music: Trad. arr. Douglas Cook. Words: Anon. This is a set consisting of the 4 pieces listed below. Music: Douglas Cook. Words: Anon. Music: Douglas Cook. Words: Anon. (trans. Dearmer). Translation and pronunciation guide included. Music: Douglas Cook. Words: mediaeval English anon. Music: Douglas Cook. Words: .